When my Tween was about your little one’s age, we had the following conversation (that I have scrapbooked for posterity and we still laugh about it). Toddler: Cows make milk and pigs make bacon right? Toddler: So do giraffes make pizza? 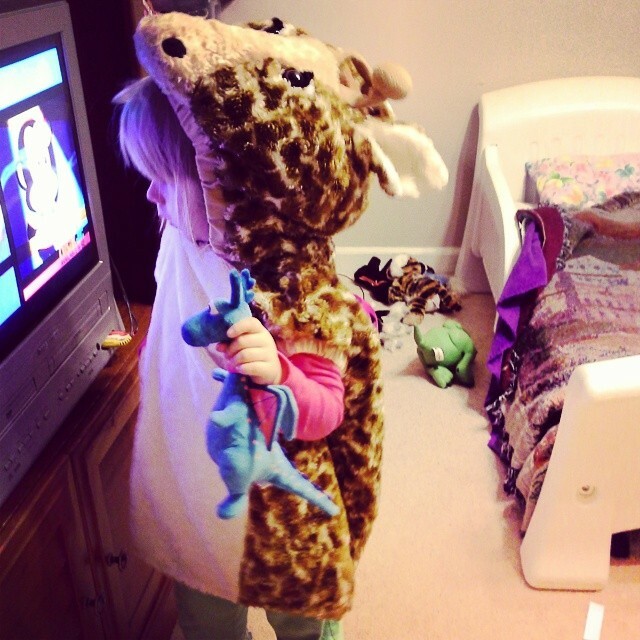 Much love to you and your little giraffe. How cool that you had one come to stay with you.